Inspiring Kinsman is an epic House Redoran creature card. It is part of the Houses of Morrowind expansion. "Our glory will live on forever." "I will die for what's right." 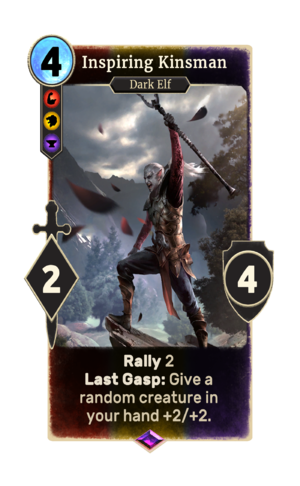 This card's last gasp ability applies the Kinship card effect.